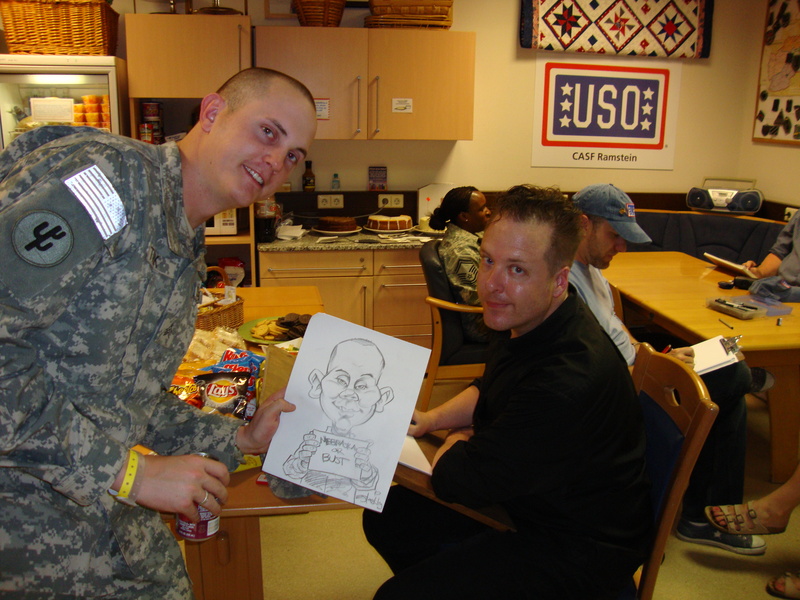 On 29 April, 2010 the CASF USO hosted nine cartoonist from the National Cartoonist Society. Approximately 50 patients and CASF staff members joined in the fun by having their caricatures drawn as well as their favorite cartoon characters. The evening was sweetened by a variety desserts. A great time was had by all. At USO Hawaii, Marines and a Corpsman from the Wounded Warrior Detachment, Kaneohe Marine Corps Base Hawaii were treated to chartered deep sea fishing through USO’s Operation Enduring Care program on Friday April 3. The sport fishing charter left the Marine Corps Community Service Outdoor Recreation marina promptly at 7 a.m. for the six-hour excursion. The Wounded Warriors spent the day casting and reeling. 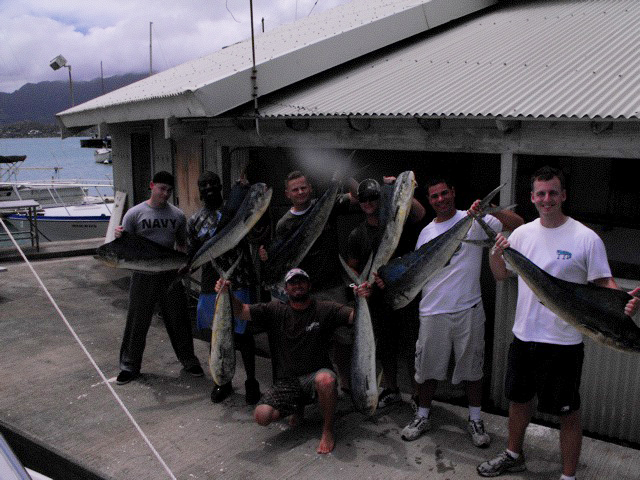 The charter’s captain and his crew were available to assist with the warriors’ catch of the day. 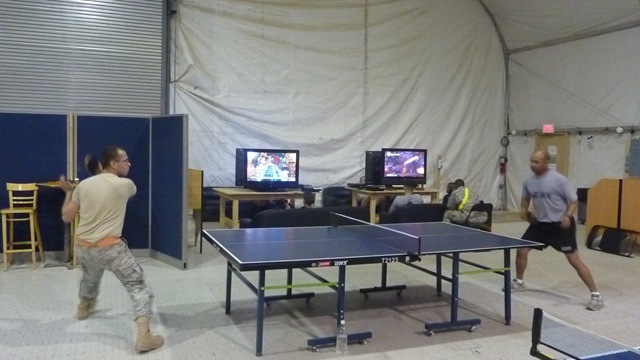 Sather AB recently hosted a ping-pong tournament. It was a hard-fought competition taken very seriously by all the 16 finalists. Sponsored by the USO, the three winners received AAFES gift cards and they must have needed to buy something very special at the PX because they fought long and hard for these prizes! And finally, here’s a special shoutout all the way from Afghanistan to the USO for our support of the upcoming Warrior Games in Colorado. Hoo-rah!